Working from home can potentially deliver some attractive tax advantages. If you qualify for the home office deduction, you can deduct all direct expenses and part of your indirect expenses involved in working from home. Direct expenses are costs that apply only to your home office. 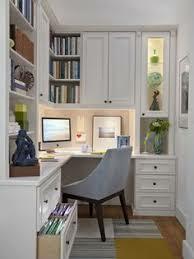 The cost of painting your home office is an example of a direct expense. Indirect expenses are costs that benefit your entire home, such as rent, deductible mortgage interest, real estate taxes, and homeowner’s insurance. You can deduct only the business portion of your indirect expenses. Your principal place of business. This requires you to show that you use part of your home exclusively and regularly as the principal place of business for your trade or business. A place where you meet clients, customers, or patients. Your home office may qualify if you use it exclusively and regularly to meet with clients, customers, or patients in the normal course of your trade or business. A separate, unattached structure used in connection with your trade or business. A shed or unattached garage might qualify for the home office deduction if it is a place that you use regularly and exclusively in connection with your trade or business. A place where you store inventory or product samples. You must use the space on a regular basis (but not necessarily exclusively) for the storage of inventory or product samples used in your trade or business of selling products at retail or wholesale. Note: If you set aside a room in your home as your home office and you also use the room as a guest bedroom or den, then you won’t meet the “exclusive use” test. If you prefer not to keep track of your expenses, there’s a simplified method that allows qualifying taxpayers to deduct $5 for each square foot of office space, up to a maximum of 300 square feet.